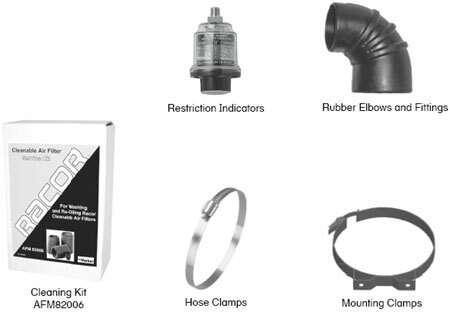 Air accessories include all parts that are used in assemblies, filters, units and elements for Racor products. The Racor lineup includes heavy-duty air cleaners and pre-cleaners, marine filter/silencers, cabin air filters and replacement filters. All are super high-efficiency, with engineered, application specific media that improves performance as it extends service life. Whatever your application, there’s a Racor Air Filtration System that will help you and your engine breathe easy.